With conference calls and Web meetings increasingly prevalent, business travel isn’t what it used to be. But if your company is still sending employees out on the road, it remains important to understand the tax ramifications. Generally, for federal tax purposes, a company may deduct all ordinary and necessary expenses paid or incurred during the tax year in carrying on any trade or business. This includes travel expenses that aren’t deemed lavish or extravagant. For employees, travel expenses are typically considered a “working condition fringe benefit” and, therefore, not included in gross income. Working condition fringe benefits are any property or service provided to an employee to the extent that, if he or she paid for the property or service, it would be tax-deductible. Returns any excess reimbursement or allowance within a reasonable period of time. By contrast, an advance or reimbursement made under a “nonaccountable plan” isn’t considered a working condition fringe benefit — it’s treated as compensation. Thus, the amount is fully taxable to the employee, and subject to FICA and income tax withholding by the employer. Although business transportation — going from one place to another without an overnight stay — is deductible, attaining “business travel status” fully opens the door to substantial tax benefits. Under business travel status, the entire cost of lodging and incidental expenses, and 50% of meal expenses, is generally deductible by the employer that pays the bill. What’s more, those amounts don’t equate to any taxable income for employees who, as mentioned, are reimbursed under an accountable plan. So how does a business trip qualify for business travel status? It must involve overnight travel; an employee traveling away from his or her tax home; and a temporary trip undertaken solely, or primarily, for ordinary and necessary business reasons. Furthermore, there’s an exception under which local, “nonlavish” lodging expenses incurred while not away from home overnight on business may be deductible if all facts and circumstances so indicate. One factor specified in the regs is whether the employee incurs the expense because of a bona fide employment condition or requirement. 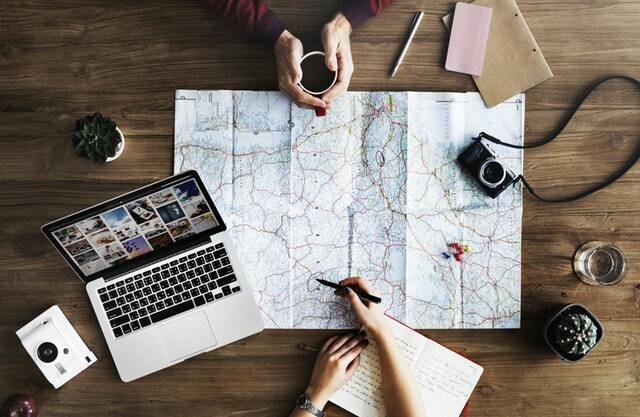 Even if your company has pumped the brakes on business trips, knowing the tax rules can save you valuable dollars on those “must go” travel engagements. We can help you with the crucial details — and particularly in setting up an accountable plan if you don’t already have one.